I trust that the Jonah story is myth and not a real event. I trust that the resurrection of Jesus was/is not myth, but a real event. I trust that they are both true. This is a difficult concept to grasp, I think, especially if you come out of a tradition where the Bible is taken very literally. Bear with me a bit on this, though, because the binary thinking of “true/untrue” or “fact/fiction” is not as clear cut as we like to make it out to be. If we take the Bible absolutely, unequivocally literally, we do it, it’s teachings, and ourselves a disservice. Primarily we do a disservice because we know that the Bible was not meant to be taken literally in it’s origins. How do we know this? Because it contains different types of writings: histories, prose, poetry, legend, and yes, myth. And Jonah is a myth. An instructive myth, a myth worth being in the Bible, but a myth. It’s form is mythic. It’s pattern is mythic. It’s characters, narration, plot, all of it is mythic. It’s not meant to be taken literally. It’s to be read and learned from and pondered over and thought over…but not in the way you’d ponder over a math problem. Not in the way you’d ponder over how someone could be stuck in a whale for days and not eaten by stomach acid. So, we do Scripture a disservice when we hold all of it’s parts (written over hundreds of years) as all the same type of writing. Secondly, we do it’s teachings a disservice by holding the whole Bible as being all the same type of writing to be held at the same status. Why? 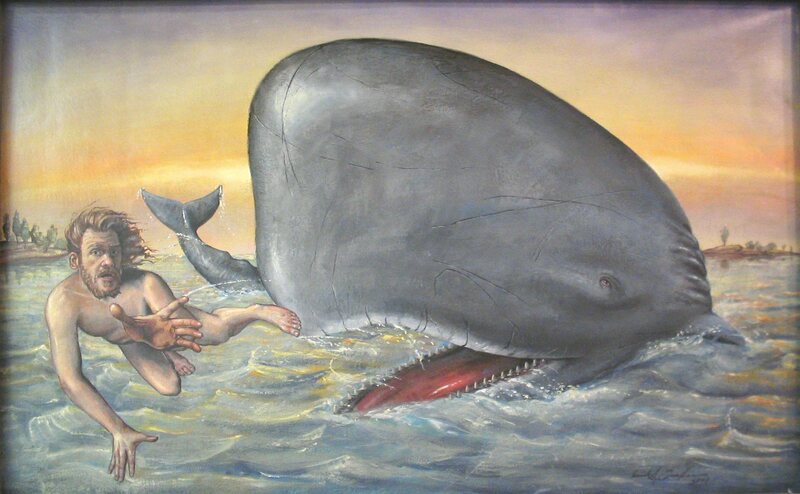 Well, if I can’t bend my mind around how Jonah can sit in a whale and not be eaten by stomach acid, and that story is just as real as a Jesus story, then I have to throw the whole thing out. This line of thinking is a byproduct (an unfortunate one) of the Enlightenment. Finally, we do ourselves a disservice by thinking that it all is the same because we either force our brain to believe something that we know isn’t…and isn’t supposed to be…true, or we keep ourselves from deep riches found in Scripture because, if we can’t buy all of it the same, we’ll buy none of it the same. In this case we don’t allow ourselves the great love of God shown in the Scriptures, and a relationship with God informed by these ancient writings, specifically around the message of the Christ. So, how then are we to take the resurrection? Here’s how this pastor sees it. For the Christian, something should be honored at the outset: the resurrection is central to the faith whereas the story of Jonah is not. I think that’s just true. Were Jonah missing from Scripture, the Christian faith would largely go on with all systems normal (for better or for worse). I feel that, without the resurrection, the central tenet that God’s work moves into a future where nothing is lost, specifically the very people God has come to hold in love through eternity, would be missing. In short: the bookend of the salvation story would be lost, leaving everything before it in a heap on the theological floor without any sense, order, or telos. And thus we end up with Saturday morning Christians: the Christ is crucified, time to hideout in an upper room because there’s nothing left. It’s also worth noting that, for Jewish-Christians to propose that someone singularly rose from the dead is not only unthinkable, but would most likely initiate charges of blasphemy and result in death or expulsion from the Jewish community of faith. If they were willing to risk talking in this way, that’s telling. The masterful theologian N. T. Wright goes to great lengths on this in his book Surprised by Hope, which I found myself agreeing with. This all being said, do I think that you have to believe in the bodily resurrection to be a Christian? No. The calls from Tony Jones and other theologians (even in my tradition) for those who may not subscribe to a bodily resurrection to “re-think” and recant on their take of a metaphorical/mystical or otherwise-known interpretation are wrongheaded. As if the Christian faith was ever meant to be one with a list of beliefs that one had to check-off to be considered a Christ follower. If that is the case, the most literal Christ-followers in Scripture, both the Magi in Matthew and the disciples pre-Easter in all of the Gospels, fail the test. The Magi were pagan and the disciples were clueless. Any attempt to coerce another person into trusting the veracity of a certain story, historical, mythical, or otherwise, is not creating trust and faith, it is trying to force fact. A story can be true without being fact. I’m reluctant Christian because much of the church has forgotten this. For this Christian I think it is intellectually honest to acknowledge that not all of scripture is meant to be read the same way. We do all sorts of disservices when we do. But, for this Christian, a healthy dose of mystery surrounding the central stories is also important, especially those written so as to be a history of the salvation story. After all, the resurrection is not a “problem” to be solved. It is a mystery to be pondered over, embraced, and loved. Jonah is a great fire-side tale that tells many truths and should be embraced and loved and pondered over (and should be acted out by persons to get the whole picture). But it wasn’t written to be history, and we shouldn’t have to take it as history to be faithful. This entry was posted in Bible Stuff by Timothy Brown. Bookmark the permalink. Why do you think Jonah is a fire side chat story? Just because you believe that does not make your belief in that true, valid, or even fact. It only means you believe. I do my best to use a historical-critical method when looking at the text. It seems by all literary indications that Jonah is written and is meant (was meant by the original author) to be a moralistic tale. Does it make my interpretation “true.” No. But, as a person of faith who tries to practice intellectual and spiritual honesty, I trust it. But, those are NOT the words you use in your tale. In your narrative, you call it a story and a myth. A story is a myth, and all myths are stories. But, in the academic sense (historical critical) neither a story nor a myth is falsified for being a story or a myth, they are just stories. Isn’t that what I remember? I have a story about the one time that my brother knocked me in the teeth with a broom handle because we were fighting like ninjas. It’s not a myth. That being said, who knows if I remember it absolutely, 100% accurately, but I have the chipped tooth as proof. You are correct, in the academic sense, falsification does not come from being story or myth. But I do not believe they are the same thing, or at least, I’m not using them as the same thing in this post. I tried to use myth only with Jonah, not with Jesus. Having taught “myth” both in Scripture and straight English classes, I have become aware that “myth” is a hard concept to get. It is hard. Truth, as I say it, lies not in history, but in enduring stuff. History happened once (or it didn’t–somebody described it and maybe they lied), while “real” truth is what lasts in our minds and hearts. The Greek myths about Persephone and the Underworld describe not just the “enduring” truth of the seasons, but our inner enduring truths–the struggle we have to fight against death, the winter blahs, the lethal dangers of an addiction I might have and so on–the whole range of “truth” about my–our–struggles against all the darksome/mysterious/lethal aspects of life. We can’t put that into a simple “fact”-statement, so we tell a story. The same is true of Jonah. At some point, one of the writers realized a) prophets are ALWAYS reluctant to tell people to change, and b) SINNERS, even Ninevites, the worstest Las Vegasites ever COULD repent. so he told a story. While the Resurrection of Jesus is believed to be an historical fact (not questioning it here)–the mythic side of it, in my opinion, is more important–that He lives! That He lives in US! That He carries his Wounds in the Wounded us! That He appears now and then (more in our hearts than to our eyes–but yes, appears)! That is what “myth” is about–the enduring truth, rather than a disputable incident of history. Beautifully said, Joris. Thank you. And you are correct, outside of any historicity, there is always enduring truth. In Matthew 12:38-41, Jesus spoke of this story of Jonah as truth. He spoke of it not only as a parallel to the number of days he was buried, but also of how important it is to repent. If He believes it to be true, I do too. Hi Kathy, absolutely free to disagree. But I would posit that Jesus uses Jonah here how I think a good teacher uses a good tale. It doesn’t indicate whether or not Jesus thought/thinks Jonah is historical. It should also be noted that the ancient mind wouldn’t draw such binary distinctions the way we do now between “happened/didn’t happen.” Something was true or real because of its impact, not its historical verifiability. I think this mistake is what happens when we implant our thinking onto ancient thinking. So, in sum, I’m not convinced Jesus “believed” Jonah as an event. Well, maybe Jesus DID believe the story of Jonah and the whale to be true. Historically speaking, I doubt that he would have had any knowledge of cetacean anatomy or exactly how a digestive tract functions. That being so, then it makes perfect sense he would believe it to be a true story. Was it true? Given that whales don’t go ’round swallowing people willy-nilly, and indeed the largest whales, baleen whales, simply can’t, then I would say no, the story of Jonah is not true. It is a myth. Now we get to the question, “What is a myth?”. This thread has some debate on that topic and this is where you find the glaring the flaws of language as a tool to express exact meanings. Stories can be factual, fiction or complete fantasy. They may or may not have a message. Myths, which are also stories, generally relate to a religious belief. They may have started out as a factual story, but are embellished over time, as is the wont of all old stories. Some changes can be made for political reasons, e.g. the story of the virgin birth is not consistent in all versions of the New Testament, and it has been postulated that this was added to the texts to make the life of the Christ fit the prophecies. A myth can contain eternal truths, regardless of factual errors, so in that way they are great lessons transcending time. Even a cursory search through the Bible will uncover wildly conflicting stories, so is every word in the Bible and absolute truth? Absolutely not. We don’t even really know if all the words attributed to Jesus were actually spoken by him. I personally don’t think so…and I also don’t think that matters so much. What matters is the message. And if I may say so, it’s a message of mythic proportions. It is a message of peace, love, tolerance, understanding, altruism and advocates non-violence. Some very good points. I’d just counter that truth doesn’t mean fact, so I would say it is “true” even if it isn’t fact. And I would say that I’m suggesting Jesus knew it was a story not because of the impossibility of surviving stomach acid. After all, weirder things were reported to have happened, but rather because stories and history were not so easily separated in the ancient mind. Culturally it didn’t matter…it only matters to the post-Enlightenment mind. Nicely said, though. And I would have put “myth” in the tile of the blog post, but was concerned it’d be too easily dismissed. Jonah is mythic. I do not believe the resurrection is mythic, though I acknowledge some disagree with me on both points. This is interesting viewpoint. Currently I would not describe myself as a Christian, reluctant or otherwise. This is mainly due to what I have read in the Bible and the fact that, at least in the churches in which I was raised, the Bible is treated as factual, inerrant, etc. If the Bible is true then I want nothing to do with the God of the Bible. The God who would permit slavery, could order an entire family stoned, an entire city (or even many nations) destroyed, or Isaac to be sacrificed, or Job to be tormented by the devil himself. Indeed, if God himself asked me in person to choose Him at the cost of my family I could not do it. Would not do it. But if what you say is true, the story of Jonah is a myth (and subsequently many other stories in the Bible as well? ), then I have some thinking to do. I would not be reading your blog if I wasn’t still questioning and searching, but I’m not sure I can adjust my thinking to what you have proposed here, that the Bible isn’t an “all or nothing” proposition, black or white. One thought that continually nags me is that Jesus came to clean up God’s mess. Jesus’s message of love and forgiveness runs counter to God’s message of Justice and Judgement. But if some/many of the stories in the Old Testament were myth’s, then maybe God isn’t as awful as I have understood Him to be. Thank you for this. You and I are from similar paths, Doug. Thanks for your words. So I’ve been thinking about this a lot and I wonder now about the Garden of Eden. After having read it again, it seems like this is a perfect candidate for being a myth. It reads almost exactly like a children’s book written to teach a lesson or moral. I mean that the Garden of Eden itself feels contrived and that God put the tree of the knowledge of good and evil into the garden knowing full well that eventually Adam and/or Eve would eat from it supports that. Here they are in this perfect place, pure and unblemished with only one rule: you must not eat from the tree of the knowledge of good and evil, for when you eat from it you will certainly die. And was it a real choice? “You will surely die.” Did they understand what death was? God created them, did He not also create the serpent? If they hadn’t disobeyed would they have had children who eventually would? Was the fall of man inevitable? Did God create them with a sin nature to start with and therefore they weren’t perfect? > Were Jonah missing from Scripture, the Christian faith would largely go on with all systems normal (for better or for worse). Could that also apply to the Garden of Eden? Isn’t the fall of man the basis for the doctrine of Original Sin? As you can see, I am clearly out of my depth. I’m wrestling with so many questions that have no answers. I long for the Good Shepherd of my childhood but he’s nowhere to be found. Now Genesis is foundational to the scriptures; no doubt about it. The whole Torah is, and Jesus knew and loved the Torah. So I do feel that Genesis, and the Eden tale, is important. But I do not take it literally. By the way, “original sin” is a doctrine derived from the text, but there are some theologians who don’t subscribe to original sin…so we can’t say that it is “in the text.” Augustine also believed that original sin was passed on through the sexual act…and we certainly (at least, I don’t) think that is the case. I agree there are strange things in the Bible about judgement, that don’t seem to match Jesus’s message of love. But I think you are mis-understanding the work “justice”. Whenever I see it in the Bible, God is talking about taking care of “the widow and the orphan”, and setting prisioners free. In otherwords bringing relief to those who are oppressed, vulnerable, and unvalued by their society and goverment. And reminding those who are “high” and powerful, that that those who are “low” and weak matter very much to God. Thanks for the conversation you began. As soon as I saw the title of your post, I thought of the line I have used many times in adult Bible Study: To be true, a story doesn’t necessarily have to have happened. You said about the same thing when you wrote: “A story can be true without being fact.” The truth of a story isn’t necessarily bound to the veracity of its historical telling. Peace to you and thank you. Thanks, Lindsay, and blessings on your ministry! Thank you so much for the mystery you provide us in church. And for your love of the Jonah and other stories, especially at the Easter vigil. Great post, Pastor Tim! This is definitely a concept forgotten about (and/or not taught or accepted in many Christian circles.) I know so many people who have struggled to hold onto faith in a God that is seen through the “literal” and “inerrant” Bible they grew up learning about once they experienced true despair and pain in life. And so many of these same folks who have learned to read the Bible literally or as inerrant struggle to ever understand the concept of truth in scriptural myths or stories that were not meant to be taken literally. Beginning this conversation is very important. I think Jesus modeled how we might proclaim and understand truth both in “myths” or non-factual scripture stories/teachings and in scripture accounts that were meant to be “historical.” And he definitely showed us how to find truth in non-factual parables. And I agree with you: there has to be some mystery in our faith and understanding of God – or we wouldn’t have faith at all. I remember when Robert Gundry and his Matthew commentary drew fire from evangelicals for his argument that the gospel of Matthew is not an historical account. He argued that Matthew falls under the genre of Midrash. I thought it was a very sound and reasonable argument. It went some way toward explaining away and/or resolving some of the niggling inconsistencies between the synoptics. What did he receive for his contribution to gospel scholarship? The evangelical theological society basically branded him a heretic and voted to revoke his membership! The argument of course was that Gundry’s interpretation of Matthew abused the doctrine of inerrancy because Gundry proposed to read parts of Matthew as editorial embellishments/inventions. The real scandal in the background of course was a version of the problem that you are trying to address here: if Matthew’s editor is inventive or embellishes certain parts of the account, then how can we trust Matthew at all as a source of the salvific message? The ETS chose to answer that question by denying the antecedent. From this post it is clear that you aren’t the kind of pastor who wants to revoke memberships over hermeneutical disagreements. That makes you better than ok in my book. However, you do seem to interweave an endorsement of the idea of orthodoxy into this post. I read you as saying that there is a core cluster of truths that function like postulates – things “honored at the outset”. That’s ok I guess… but then it is implied that the passages that teach those postulates should be deemed trustworthy (in the sense that they are not invented by the authors/editors of the passages). Other passages, however, may be subjects of doubt. Critical/historical scrutiny may lead us to (fallibly) judge some of these more peripheral passages as inventions. But that shouldn’t worry a Christian, as you say, because Christianity could get along just fine without Jonah. I hope you can see why a non-postulate-affirming person is going to view that kind of proposal with suspicion. And if I may gently make a personal entry into this conversation – on my own behalf, I will humbly admit that I also find it dissatisfying and, yes, kind of suspicious. There’s a very comfortable circle of reasons being provided and you’re inviting me to situate my most important beliefs inside it. If a scientologist made me a similar offer, I’d tell them to take their mind trap and scram. I wrote too much, but here’s what I really wanted to say: 1) I like this post a great deal and almost all of your words in this post bring me joy! – so thanks!, 2) you seem to be so very inclusive, which I really like, but 3) you endorse the idea of orthodoxy which I find distasteful and I’m concerned that you haven’t thought it all the way through. Thanks for the reply, Knock Knock. In all honesty, I shouldn’t be up at this hour, but your writing brought me joy, too. I’ve been accused of being too orthodox. I’ve been accused of being heretical. I hope that makes me a bit of a radical. I’ve tried to think through, and continue to think and re-think, through these things. Perhaps standing on the line between orthodoxy and heresy just makes me Lutheran. I do think there are core texts to the faith, as you say, but all things are up for scrutiny. Some, I feel, should be judged differently than others due to their authorship, style, importance to the over-arching narrative of the Christ event, etc. But, as a seminary classmate of mine once said, were we to find the bones of Christ tomorrow, I’d still be a Christian. What is the faith in/on is the question there. Thanks for your note. Really thoughtful stuff. And the feel of unsatisfaction hopefully just leads one to search more, not dismiss! Reading this post, it felt like you’d been digging around in my own thoughts that have been mulling for a few years now. My own determination to encourage folk to really understand what stories/myths/tales are actually about is rooted in the fact that truth is most successfully transmitted into our humanity via the medium of story, and Jesus knew that better than most. What so many people just don’t get is that when you start talking about Genesis One as a Poem doesn’t mean that you think any less of God – in fact, it elevates God to his true place. Every Historian knows that fact and truth are not the same thing, and we can grow in ourselves using edifying myths and stories, whether they are about Jonah, Moses, Arthur, Odin, Jesus or indeed Mandela or Malcom X. Check it out, Wise words from a great Pastor who understands more than most. My rabbi held up Torah to me and said, “Everything in here is true. And some of it may have actually happened. I think this view is rather fascinating. Oftentimes we forget that the Bible is still a literary work to be read and understood as *literature*. Are there other traditional Bible stories that you would view similarly? Most certainly. The Bible contains all sorts of writings. A Harper-Collins study Bible, or even The Lutheran Study Bible by Augsburg Fortress gives some insight. Check out my post, “The Bible Timeline You’ve Always Wanted” (I think that’s the title) on here for some more thoughts on it all. Haha, that’s it. I created that for a Bible study I led here at the church. I’m interested in your point of view. You comment, “As if the Christian faith was ever meant to be one with a list of beliefs that one had to check-off to be considered a Christ follower.” You also indicate that one of the core beliefs of Christianity, the resurrection of Christ, is not essential for a Christian to hold. Which makes me wonder, what do you believe DOES make someone a Christian, or Christ-follower? Please be as specific as possible. For example, you’ll probably mention love. What does that mean though? If someone were to reject the existence of Jesus, could they still be a Christian if they claimed to agree with and follow his teachings of love, social justice, compassion, etc.? What if they rejected the notion of the supernatural altogether? Thanks for the question. I’ll try to answer as concisely as possible with an example. John Piper and John Dominic Crossan are about as far apart theologically as two people can be, but both profess to be Christian. Piper is a literalist, and while he’s not quite a “fundamentalist,” he verges on that. Crossan, on the other hand, is no where near a literalist. In fact, I’d say he banks more on metaphor and myth when it comes to Scripture. And yet, both are Christian. Certainly it can be said that someone who believes Jesus is a “good moral teacher” and tries to follow that teaching can be considered “Christian.” To disallow the name to go along with the person is to restrict the definition so tightly that we exclude people from the flock. The Creeds have, historically, been a plumb-line for the faith…and yet they weren’t present for the first 150 years (and perhaps longer) of the faith. And you can see the trajectory: the Nicene Creed further restricts the Apostle’s Creed. The Athanasian Creed further restricts the Nicene Creed. Originally Christianity had a variety of opinions and thoughts about God, Jesus, soteriology, salvation, etc, all under the banner of “Christian.” Sure, there were fights about it. Like when St. Nicholas punched Origin in the face when Origin suggested that maybe Jesus wasn’t, in fact, Divine. But there was a much larger variance than we want to remember or give credit for. So, what do I think one can “believe” to be considered “Christian”? At this point, I would say that someone trying to follow the Christ in life could consider themselves Christian. Are there Buddhist Christians, Hindu Christians, Jewish Christians? I don’t know. That’s muddy water for me. I think there are difficulties there. But I certainly wouldn’t write someone off without delving deeply into their thought process on it. Thank you for your response. I have one additional follow up question (well, I have hundreds, but I’ll whittle it down to one): you indicate that the Bible must be interpreted based on the literary style in which it was written, which reflects both the level of historical accuracy of the story and the intent of the author. I agree wholeheartedly. Proper Interpretation of the Bible is paramount; interpreted correctly, the Bible is the Word of God, but interpreted incorrectly, the Bible can morph into the Word of Satan. Anyway, my question is, do you accept the ENTIRE Bible as both inerrant and inspired by God (assuming we interpret it as the original authors intended), or do you believe parts of the Bible should be removed and/or are no longer relevant today? If the latter, how do you distinguish these parts? I don’t consider the Bible inerrant. It has internal consistencies, like, how Jesus does on a Thursday in John, but on a Friday in Matthew, Mark, and Luke. That being said, it is not authoritative because of inerrancy, but rather because it witnesses to Gods work in the world. Take a gander at my entry with the Biblical timeline where I go a bit into how the New Testament was formed. Martin Luther thought that Revelation and James should be taken from the bible. Marcion tried to dilute the gospels into one Gospel. 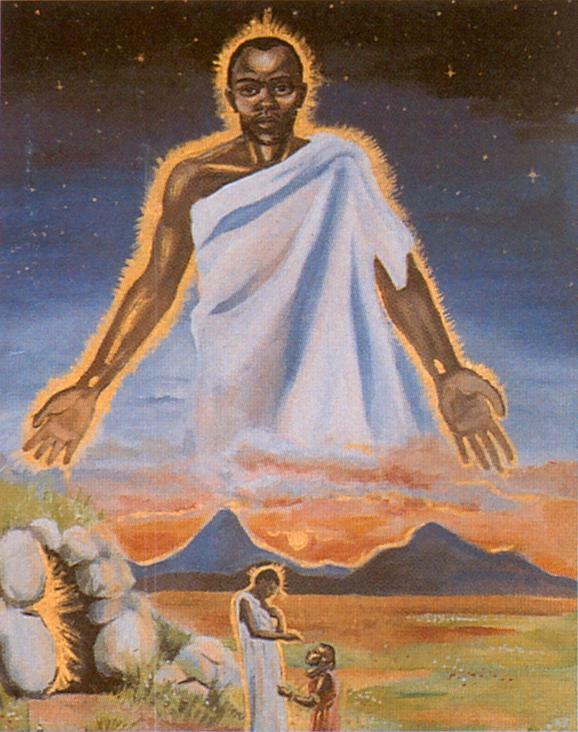 Augustine saw the beginning of Genesis as allegory and story. There have always been wide-lens views of scripture…we usually just don’t hear about it. Luther, btw, noted that, though he saw no benefit (at least in his younger years) to Revelation and James, far be it from him to cut them out because someone else might see spiritual benefit in them. I tend to take that approach. If anything I’d like to expand the canon. My thumbs aren’t made for smart phones. As it has just been pointed out to me by a rather indignant Brit, it was Arius, not Origen, who was punched by St. Nicholas. I should have known that. I did know that. Slip of the finger on a late night. My apologies for getting my heretics (so-called) confused late into the evening. Thank you, thank you for giving me a way to talk to my family about the veracity of the Bible. I was raised in a fundamentalist house, church, and school, never fell away from my faith, and married an agnostic Roman Catholic. I now find myself in a non-traditional Roman Catholic church (while I am a librarian for a very traditional Catholic school). My sister is a hellfire-and-brimstone Christian who has no compunctions about telling you why you might spend eternity in hell. Biblical interpretation is a major issue of dissension for us, and I appreciate that someone as literate as you (with credentials!) has a blog to which I can return and gain strength for our discussions. My other sister has fallen away from organized religion completely, and my remarks concerning your blog stand for those discussions as well. Thank you, thank you, thank you. Thanks and blessings, Beth! Peace today as well. I’m certain you’re not alone in this. I, too, trust in the resurrection. But there are some who see it metaphorically. Which doesn’t mean it isn’t “true,” they just trust that it’s not historical/bodily. Again, I suggest that myth is a difficult concept, and that you do not yet quite grasp it. The historical event of the Resurrection is for me interesting, but both unprovable (as each and every event of history is unprovable–I am no time machine) and of only secondary value. The Value of a Myth is that it IS true now–it is a story that describes a reality that is beyond a simple dogmatic statement (especially one of the past, of history).. I can say “Jesus is risen!” but my faith says he IS alive in a reality that far, far surpasses that exclamation. He is alive in the least of my brethren, He is alive in dealing with ALL the woundedness of the world, He lives in the splendor of my discovery of love, and on and on and on… I taught this much better in my textbook “Literature: Discovering Ourselves through Great Books.” Myth is the deeper grasp, the more “faith-full” way of accepting Jesus than assenting to a historical fact. Hey Joris, I do think we’re on similar pages, and I thank you for clarifying the subject. Hi Timothy, thanks for your response. So do you see it as “metaphorically?” And what do you think of the Shroud and the supposed empirical data that has been collected about it? As I make clear in the post, I take the resurrection as being a bodily, real, historical resurrection. The Shroud is a fun oddity, but not something I’d use as evidence for the resurrection. I personally think that we Christians should take in mind the condition of the world we live in today and in knowing that the adversary will do anything he can for us NOT to believe or to Minimize it. Minimization appears much more subtle but is just as false. Satan is a slick one. This world is not so different, with regard to evil, as the ancient one(s). When the scribes and the Pharisees as for a miracle or a sign, Jesus said “No sign shall be given except as Jonah was 3 days and 3 nights in the belly of the fish, so shall the Son of Man be 3 days and 3 nights in the belly of the earth. Jesus affirmed Jonah was a real prophet and identified it as a sign, but if it were just a good moral story, how is that a sign? I understand the confusion. We have to remember that ancient stories didn’t operate exactly the same way as modern stories. Jonah is a prophet. The book is “prophetic.” But that doesn’t mean it’s historically accurate as an event. As I say in a comment that mentioned this verse, the fact that Jesus mentions the story without prefacing that it’s a myth does not automatically indicate that Jesus believed it is/was historically verifiable. Stories didn’t work that way in the ancient world. Jesus uses the story in the way a good teacher would, to illustrate a point. The literature is different (along with some other stories in scriptue). But I wouldn’t say that Jonah is just a good moral story. It’s instructive, but it’s subversive and anger-inducing and all sorts of things. But a “good moral story”? No way. It’s exactly how a prophet should not act. Jonah is prophetic not just in his words (which he half-heartedly says), but also in his action. He’s the rule book for what not to do as a prophet. Just because it didn’t happen doesn’t mean it isn’t true. No doubt Jesus, and ancient peoples, knew this. We’ve forgotten it. I couldn’t agree with you more when you say that literal interpretations of the Bible do it a disservice. It is truly intriguing text. It absolutely blows my mind that so many people want to confine the Word of God to a very rigid, and limited, viewpoint. Indeed, I would go so far as to say it does God a disservice. To claim He fits neatly into our human comprehension of time and matter is to ignore the limitless bounds of His Love. Thanks so much for sharing your view.